Enforcement Visit - do you need help? Are you facing an Enforcement Visit? Do you need some help? Do you need someone to help you through the enforcement visit process with the HSE, the Environmental Health Office (EHO), or the Fire Officer? Being prepared for dealing with an enforcement visit can be beneficial, and it can help you to avoid some of the obvious pitfalls. If appropriate, we can put you through the process of a “mock” enforcement visit, so that you are fully prepared for the process. Need help preparing? Not sure what to do? Do you need help to deal with the visit? LRB Consulting can help you to prepare for an enforcement visit or action. Are you aware of the HSE's Fee for Intervention Scheme (FFI)? 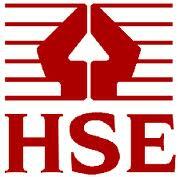 The HSE are now required to charge £124 per hour for their time if they uncover a "Material Breach" at a site. It is considered that the FFI scheme might make enforcement more likely. Contact LRB Consulting Ltd or call us on 01509 550023. Thank you for an excellent service and for Peter's expert help. It was vital is helping us to defend ourselves and to maintain our unblemished Health and Safety record. My worries were considered and dealt with and I now have my peace of mind back.